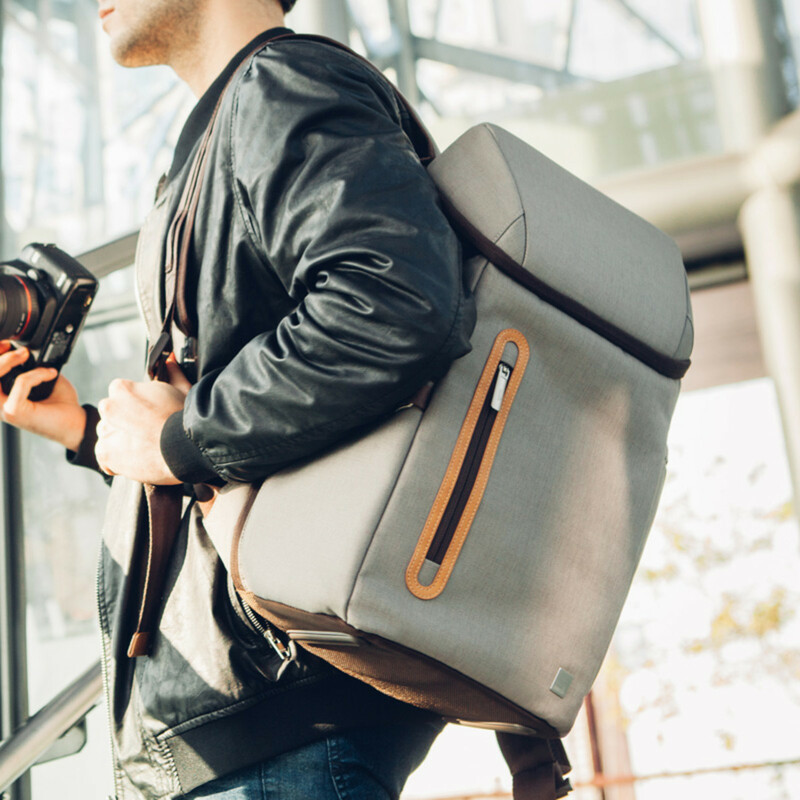 Finding the perfect backpack for creative traveling isn&apos;t all that easy, especially when you want to pack along a DSLR for the ride. The options seem to be either fully geared up beef or business casual slim with not a lot in between to choose from in the current marketplace. Moshi has answered the call of the creative traveler with their new Arcus bag and camera insert. 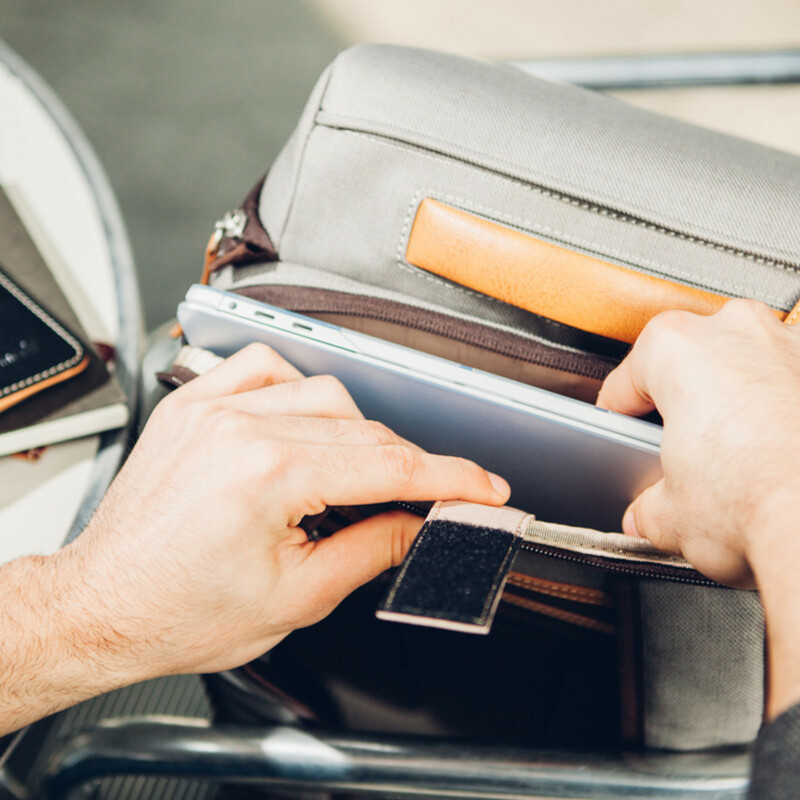 A slim and elegant traveling companion for the creative professional that gives you the best of both worlds. 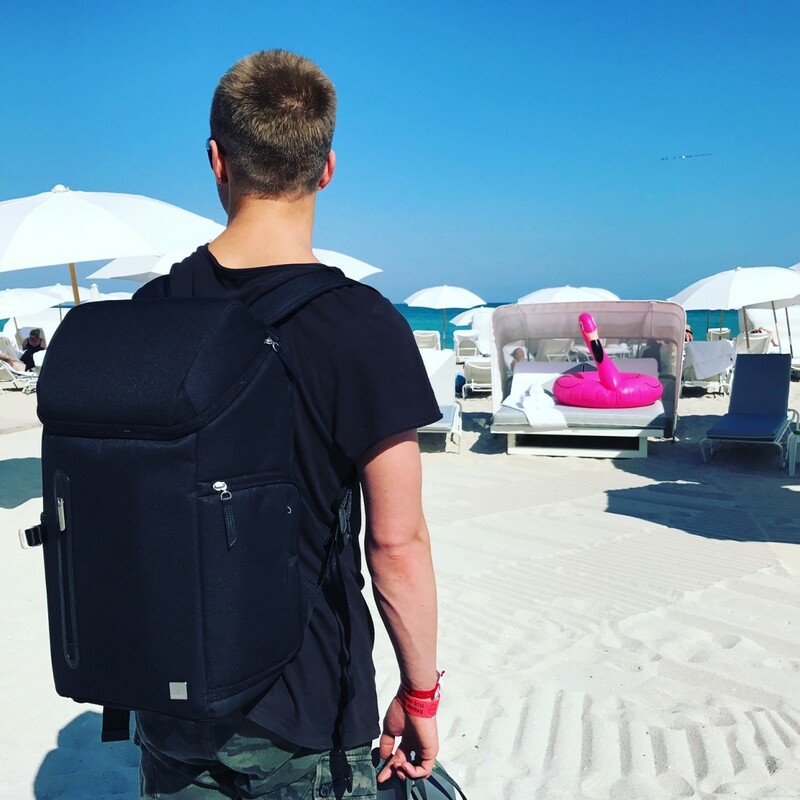 We got our hands on the Arcus for a road test down to Miami Music Week for our annual #MagneticLive activation where we are lugging lots of gear for five days straight. With two flights, around twenty Uber rides and lots of schlepping, we feel that we got a pretty good handle on the capabilities of this bag. Here are our thoughts. 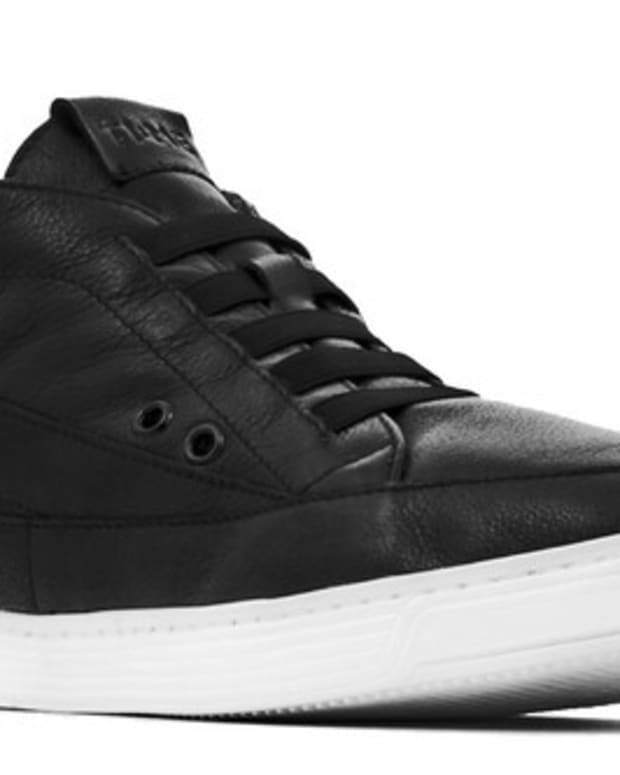 Overall Design: The Arcus is smooth looking and packs a lot in considering its small profile. Don&apos;t be fooled by the elegant looks and sleek hardware; this is a warhorse dressed up in a suit, and it&apos;s ready to rumble. 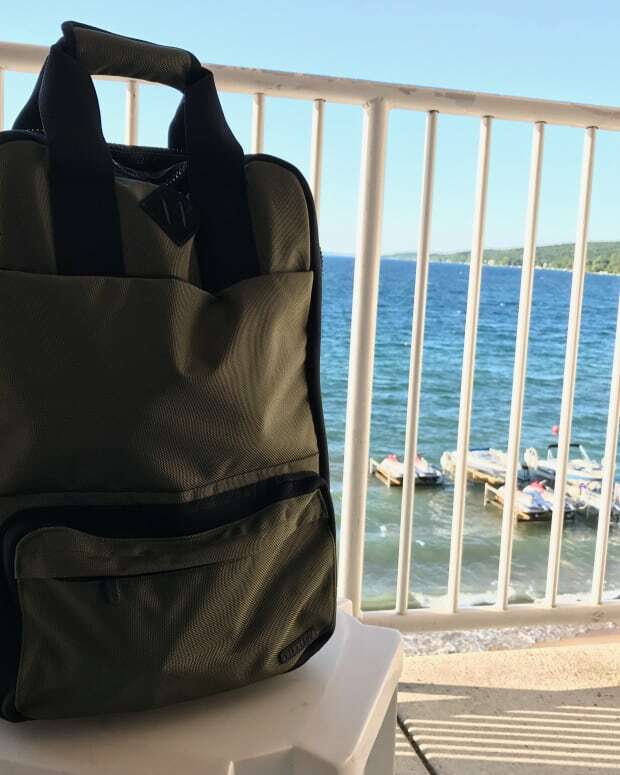 The top portion of the bag features a semi-hard (crush proof) space that&apos;s perfect for sunglasses, hard drives, GoPros, and other small items that might need a little extra protection. Your computer and tablet are also taken care of with a slim padded compartment that&apos;s housed between the main compartment and your back. The main section of the bag is what we love the most as it is quite spacious and allows you to either insert the Arcus Camera Insert for your DSLR + Lenses or use the space for other items like clothing, electronics, etc. The Arcus has so much room that it could double as a full weekend bag for those that actually know how to pack. Innovations: The thing we love the most about this bag is not only the slim profile and ample space but the innovative ways to access your stuff. There are almost too many pockets in this bag and if you don&apos;t think about where you are putting things you might get frustrated. The tripod loops and pocket on the side of the bag are ideal for photographers, and if you aren&apos;t lugging that kind of gear, the pocket also works perfectly for water bottles. 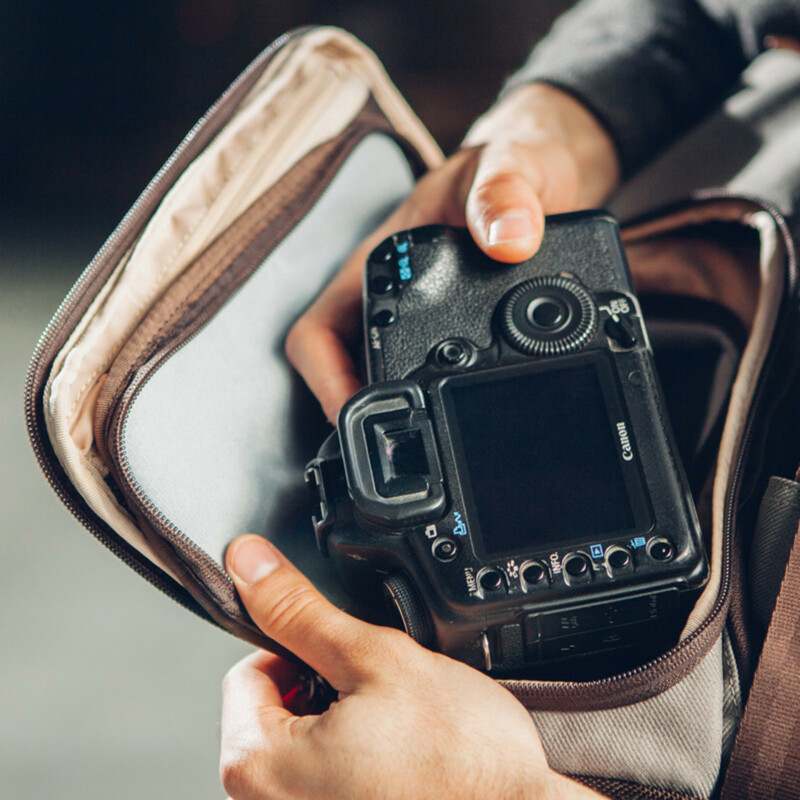 Another feature that is game changing for photo types is the side access flap that allows you to unzip the side of the bag for instant access to your photo gear or the main compartment. Summary: The Arcus is a reasonably priced bag that easily competes with higher end brands that charge almost twice the price for a similar product. 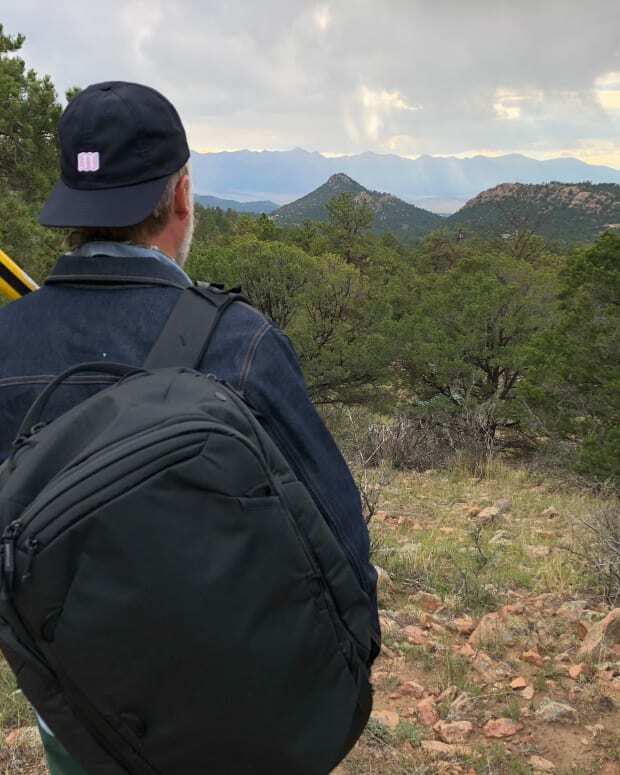 The cargo space is ample, flexible and looks a hell of a lot better than one of those dorky OGIO camera bags (trust us, we have one of those too). The Arcus handled our road abuse with ease and has become one of our go-to bags for creative traveling. Should I buy it? Worth every penny!